Solidarity’s Occupational Guild for Health Practitioners today expressed their dissatisfaction with the irresponsible way the National Health Insurance Bill (NHI) is dealt with. This followed the Health Department’s attempt to get the proposed bill approved without proper public participation and consultation. According to Morné Malan, senior researcher at the Solidarity Research Institute (SRI), the Health Department’s conduct indicates that this department is increasingly willing to push through harmful policies despite their negative impact on the fiscus and the health of South African citizens. 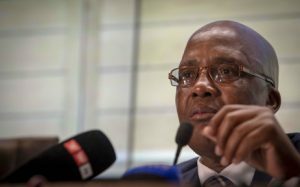 “Minister Motsoaledi reacts to criticism as if he believes he is at war with organisations that try to promote and protect citizens’ rights. Perhaps he should ask himself what is giving rise to this perception. The department has been acting in bad faith ever since the bill was released in June. They are cryptic about finances, practical matters, the nature and extent of the NHI fund, the impact on health practitioners and more. They clearly also do not pay attention to comments or suggestions to improve the current system. Furthermore, the estimated costs of the NHI are not yet known, but it will be an enormous amount,” Malan explained. Solidarity emphasised its opposition to the NHI Bill and the nationalisation of health care by effectively expropriating the resources of private health care. “We refuse to accept the narrative that the department seeks to make South Africa a healthier country because this bill in particular has several shortcomings that will have countless conceivable – and probable – negative consequences – economically and especially with regard to the health of South Africans. When governments act in this way, they must be treated as ideologists or megalomaniacs, or both,” Malan said. In addition, Solidarity rejects the efforts of the department to classify the debate regarding the NHI as a struggle between different classes. “This issue is not about rich versus poor. It has to do with being sick versus being healthy. At present, our public health care is so sick, it is almost terminal, and no-one will benefit by transferring all health care to these bureaucrats. It will merely nationalise the service that has led to the Esidimeni tragedy and the countless public hospitals already falling apart, until nobody can escape the government’s incompetence any longer,” Malan emphasised.